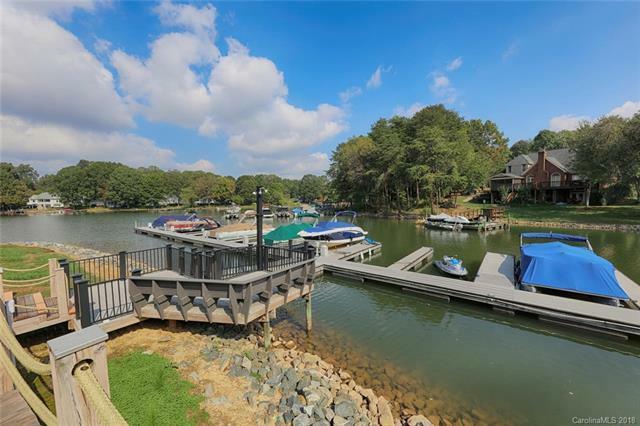 Main level waterfront condo with no stairs features easy access to I-77 plus all Lake Norman has to offer. The split bedroom plan has master overlooking waterfront and second bedroom at front of unit. The open floor plan features beautiful bamboo floors in great room and bedrooms while ceramic tile enhances the entry, bathrooms, kitchen and laundry room. Gas log fireplace takes the chill off of winter nights and covered patio allows outdoor enjoyment rain or shine. Move in ready with fresh paint throughout. HVAC is approximately four years new. Come enjoy the lake lifestyle with this low maintenance home. HOA fees cover exterior maintenance, pool, tennis courts, water, sewer, trash removal and basic cable.